Notts County have brought in a trio of loan signings to strengthen their squad until January. Left-back Morgan Fox, 20, and central midfielder Bradley Jordan, 19, have both joined from Championship club Charlton Athletic until 4 January. 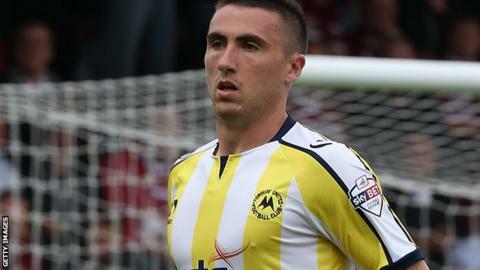 Striker Callum Ball, 21, has signed for the Magpies from Derby County to 2 January, having previously been loaned to Torquay and Coventry. All three will be available for this weekend's home match with Brentford.